We all love to share and give back to our community. That’s why I started a CAD blog at the first place. Many of CAD users join the forum, mailing list and also have blogs. 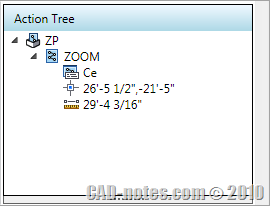 I always get great solutions from CAD gurus on a forum like CAD tutor. Some of you tried to write for a magazine, write a book, etc. You may have different ways to do it. We just want to share it with the world. So if you are interested, you can contribute on CAD notes. It will help the community. We want to give our readers the good articles to read. So we set quality guidelines for you who want to submit your articles. The topic should cover productivity and learn for CAD software. We don’t limit the software. We don’t accept marketing or promotional materials. All articles you submit must never be published before. And you are not allowed to publish it on other media, including your blog. This policy is because if you publish it elsewhere, many will consider this as publishing duplicate contents. And this would harm the integrity of this site and your own site. The article must be at least 300 words long. 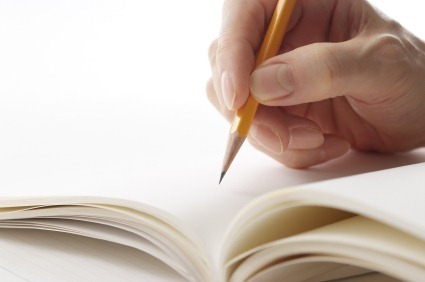 Do not write in long sentences and paragraphs. Try to make shorter sentences and paragraphs. Use subheading formatting to make readers easily to read your article. You can use Heading 2 <H2> and Heading 3 <H3>, and even H4 if necessary. You may links to other website pages as long as they can be used as a reference for readers. It’s advised that they are not more than 1 link per 300 words. If you want to link to your own or company website, you can place it in your author profile. Read the appreciation below. Add images so readers can easily understand your article. You can use Jing as free capture tool to create screenshot easily. We accept common post format like Microsoft Word Doc/Docx format. You can also send it in HTML format or Live Writer format (wpost). You can use PageBreeze, a free WYSIWYG HTML editor if you are not familiar with HTML codes. And please also send the screenshot or other images as a separate attachment. The images embedded in Word documents often have very low quality. Please don’t be offended if we suggest some changes to your article. As our appreciation to your contribution, you will be mentioned below your post. With your short profile. If you have a website or blog (or facebook page, twitter, etc) we can provide links to your site in your profile. See a sample of the guest post here by Paul Munford. We will also list your profile on the author page. We don’t have strict rules for publishing a post. But we have to keep our standard and make sure it would be useful. If you are interested, you can send your post outline to info@cad-notes.com. I will get back to you as soon as I can, but it may take a couple days to review it. Do you want to create a sheet metal flat pattern from part with roll and dishing process? Try our workaround here!